The capital city of Khakassia republic: Abakan. The Republic of Khakassia (Khakasiya) is a federal subject of Russia located in the south of Eastern Siberia, part of the Siberian Federal District. Abakan is the capital city of the region. 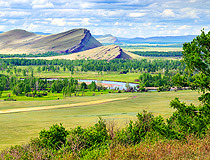 The population of Khakassia is about 536,000 (2015), the area - 61,569 sq. km. 7 January, 2017 / Sunduki - the Siberian Stonehenge. 24 July, 2014 / Aerial views of Sayano-Shushenskaya hydropower station. 26 April, 2014 / Natural Park Ergaki - a real pearl of Siberia. 7 August, 2013 / The Largest Power Plant in Russia. 3 March, 2011 / Priiskoviy - the semi abandoned village of miners. The first state in the territory of Southern Siberia appeared presumably in the 4th-3rd centuries BC. In 201 BC, the Dinlin state, according to Chinese sources, was conquered by the Huns. 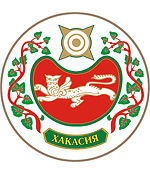 In the 6th century, Kyrgyz Khanate was created on the territory of present Khakassia. In the middle of the 9th century, the khanate reached its peak, occupying a significant part of the Asian continent. From the 13th century, the peoples of the Sayano-Altai, including Yenisei Kyrgyz, began to experience ever-increasing pressure from their southern neighbors - the Mongols. In 1293, as a result of military expansion, the Kyrgyz state was destroyed. Up until the beginning of the 18th century, this territory was part of various Mongolian states, in some periods it was also nominally part of the Manchurian state of Qing. 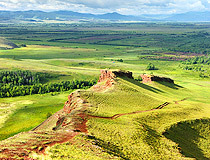 In the 17th century, Russian settlers in Siberia found this region divided into four principalities (uluses) inhabited by Kyrgyz - the ancestors of Khakas and Shor peoples. In 1604, the first contacts between Kyrgyzes and Russians began, when Tomsky stockaded town was built on the land of Eushtin Tatars. After that, for over 100 years, Khakassia was going through a complicated and painful process of becoming part of the Russian state. August 20, 1727, may be considered the date when Khakassia joined the Russian Empire. It was the day when Russia and China signed Bura (Kyakhta) border treaty. According to it, the territory located north of the Sayan Mountains belonged to Russia. In fact, Khakassia joined Russia later. In 1758, Chinese troops invaded Altay and defeated Dzungaria. It was the threat of violation of the officially recognized borders of Russia. Several military garrisons composed of Cossacks were stationed in the region. From the moment when the Cossacks began to defend this border region, Khakassia known as the Kyrgyz land in reality became part of Russia. 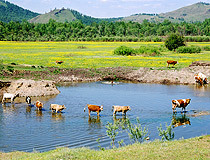 In 1822, the Kyrgyz land became part of the Yenisei province. October 20, 1930, Khakasskaya Autonomous Oblast was formed as part of Krasnoyarsk krai. 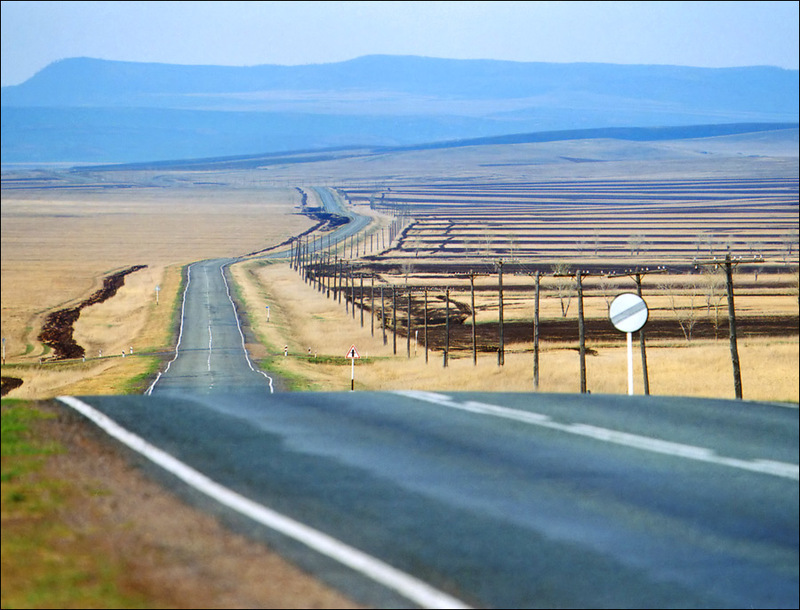 The 20th century was a turning point in the history of Khakassia. The Soviet government changed the structure of the local economy. It became not only an agrarian, but a large industrial region. The following enterprises were built: Sayan Aluminum Plant, “Abakanvagonmash”, Sora Molybdenum Combine, Abakan and Teya iron mines, and a lot of others. Sayano-Shushenskaya hydroelectric power plant became an energy center of Khakassia. 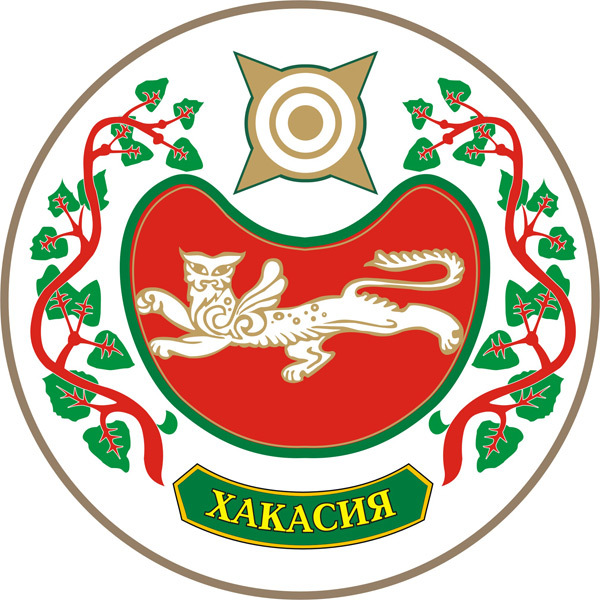 In 1992, Khakassia was separated from Krasnoyarsk krai and became an independent region of Russia - “the Republic of Khakassia”. 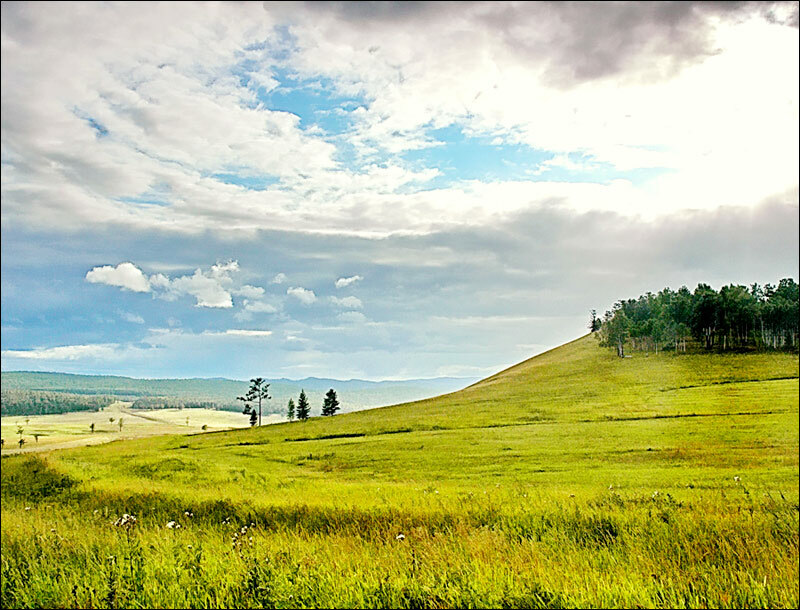 The territory of Khakassia extends from north to south for about 460 km, from west to east for 200 km. 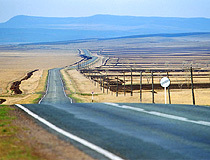 The distance from Abakan, the capital of Khakassia, to Moscow is 4,290 km by roads. The largest rivers are the Yenisei, Abakan, Chulym, and Tom. 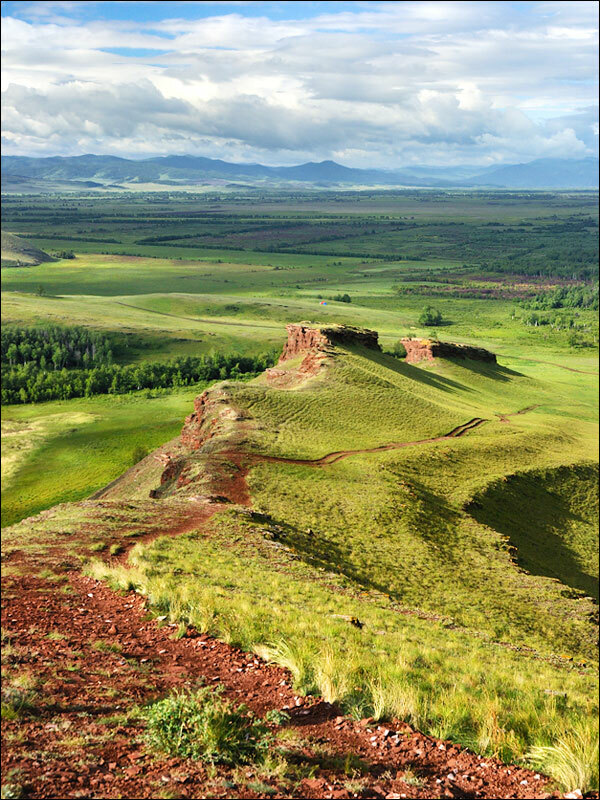 Khakassia is characterized by a variety of climatic and vegetation zones - from high mountains with year-round glaciers and snow, tundra, forests and forest steppes to steppes with ancient burial grounds. Sayan Mountains occupy two thirds of the territory of the republic. The climate is continental. Summers are dry and hot, winters are cold with little snow. The average temperature in July is plus 17,9 degrees Celsius, in January - minus 18,9 degrees Celsius. The national composition according to the census of 2010: Russians (81.7%), Khakasses (12.1%), Germans (1.0%), Ukrainians (1.0%), Tatars (0.6%), Shor (0.2%). The largest cities and towns are Abakan (176,200), Chernogorsk (74,000), Sayanogorsk (48,000) Abaza (16,000), Ust-Abakan (15,000). Khakassia is rich in such mineral resources as iron ore, molybdenum, gold, coal, barite, bentonite, marble and granite, building materials. Also there are deposits of copper, polymetals, phosphate, asbestos, gypsum, jade, jadeite. More than 40% of the territory is covered by forests. Technologically dependent on each other hydropower and aluminum production are the basis of the local economy. Sayanogorsk and Khakas aluminum smelters, one of the largest aluminum plants in Russia, are situated on the territory of the republic. Sayano-Shushenskaya hydropower station is the most powerful in Russia (6,400 MWt). Coal mining is also developed in the region. 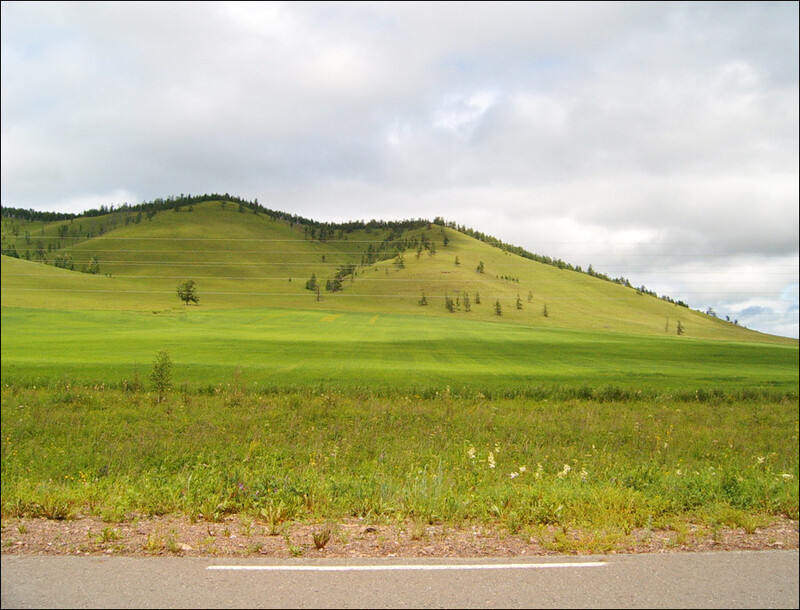 Khakassia is a developed agricultural region of southern Siberia. Large areas are occupied by pastures and hayfields - the basis for livestock development (fine-fleeced sheep breeding, dairy farming). Horse breeding plays an important role too. The main crops are wheat, barley, oats, millet, sunflower, sugar beet. 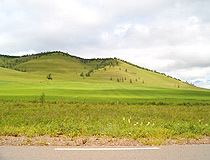 Agricultural lands occupy about 20% of the territory. 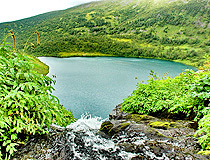 Khakassia is a picturesque region, where steppes rich in lakes lie at the foot of beautiful mountains. Rapid rivers and mysterious caves attract adventurers from all corners of the Earth. More than 30,000 archaeological sites can be found on the territory of the republic: stone statues and burial mounds, rock carvings and ancient temples, remains of settlements and majestic mountain fortresses. Salbyksky Mound is a masterpiece of ancient funerary architecture and a grandiose monument of Tagar culture, the biggest burial mound in Siberia. 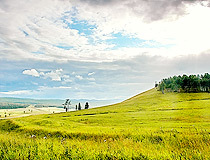 It is located in the open-air museum “Ancient burial mounds of Salbyksky steppe”. Khakassky Museum-Reserve also known as “Kazanovka” covers an area of about 11 thousand hectares. The museum is located in the southern part of the Khakass-Minusinsk depression, in Askizsky district. The museum has more than 2,000 monuments of archeology (67 archaeological complexes). It is also a place where you can see the Khakass people’s life. “Sunduki” (“chests”) is a complex of monuments of nature and archeology located within the middle reaches of the Beliy Yus River, in the territory of Ordzhonikidze and Shirinsky districts. This mountain ridge consists of eight scenic mountains. One of them resembles a large stone chest. Sulek Museum-Reserve is located in the northern part of the Republic of Khakassia, 200 km north-west of Abakan. The museum is known for its petroglyphs. The main group of images were created during the heyday of the Yenisei Kyrgyz statehood, in the 9th-10th centuries. 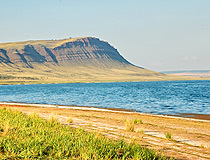 Lake Shira is located in a vast steppe basin. 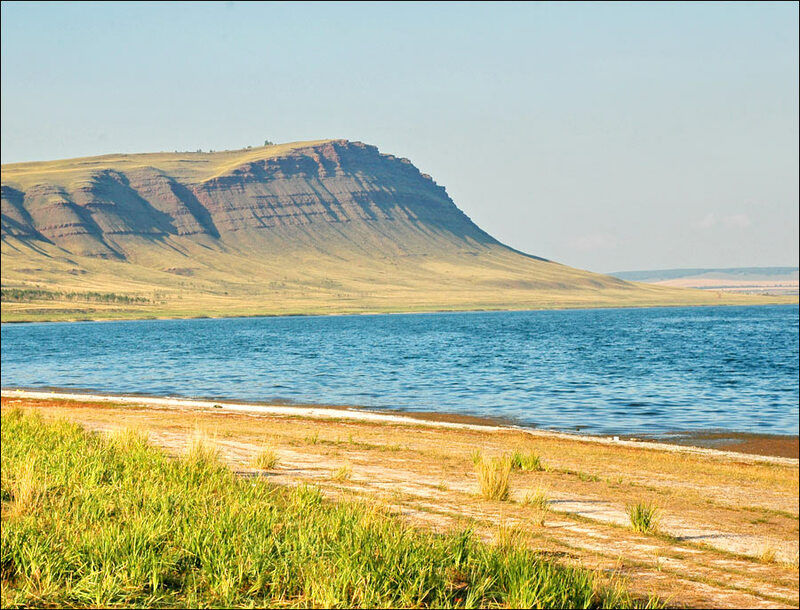 The length of the lake is 9.5 km, the width - up to 5 km, the depth - more than 22 m. The medicinal properties of Shira water has been known since the 1780s. 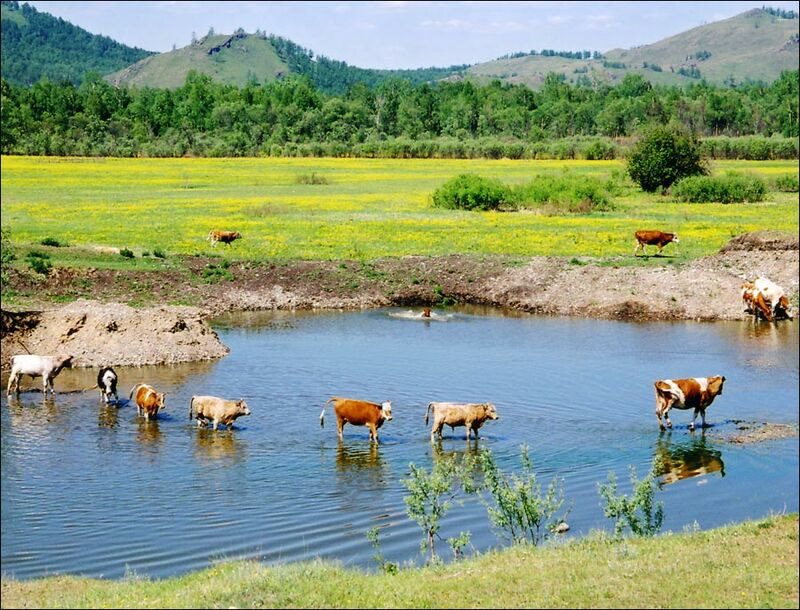 In 1891, the first resort in southern Siberia was opened here. 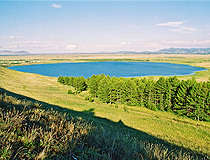 Lake Shira is one of Russia’s largest repositories of medicinal mineral water. 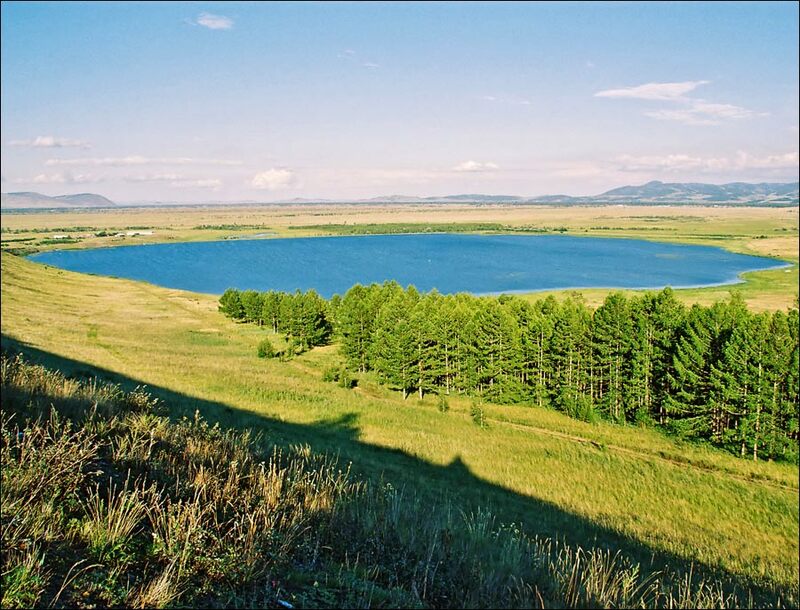 Lake Bele, located 8 km north of Lake Shira, is the largest mineral water reservoir in southern Siberia. The lake consists of two parts connected by a narrow isthmus. More fresh part of the lake is used for fish farming, saltier - for relaxation and hydrotherapy. 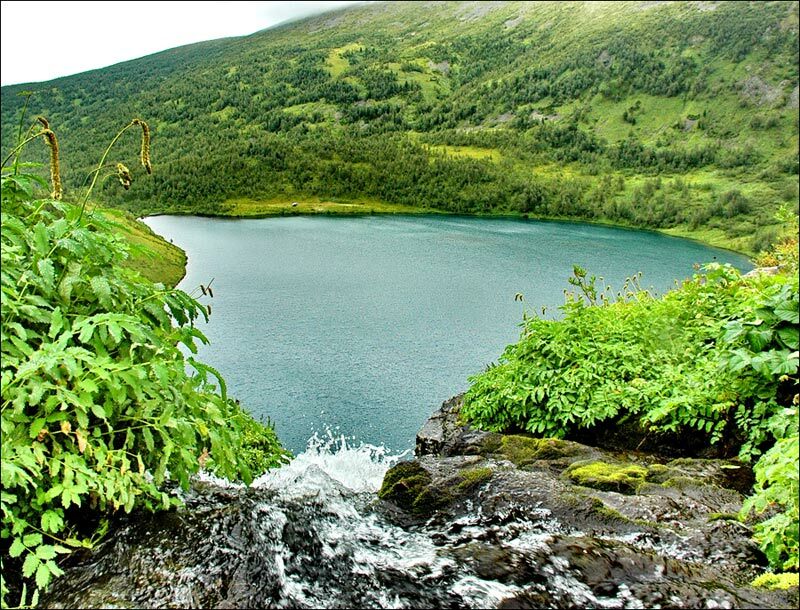 Mount Gladenkaya is located about 120 km from Abakan and 40 km from Sayanogorsk. It has become a favorite vacation spot of residents of Khakassia, Krasnoyarsk krai and all those who love skiing. The length of the route on the northern slope - 3,500 m, the vertical drop - 830 m, the minimum pitch of the route - 12%, the maximum - 45%. There are several routes that are attractive both for beginners and those who like downhill skiing and extreme skiing.